One of the masterclasses I run is on omnichannel engagement. In other words, the mix of voice, text and occasional video communications, resourced within contact centres, which serve both online and offline customers. The masterclass explores how to redesign your customer services to suit both customer and business needs given this ever increasing set of choices. It remains popular and challenging to attendees because as an industry we spend very little strategic time figuring out what happens when we move past the default voice channel. Instead, as is our tactical, ‘to do’ list nature, we incrementally add on a new channel and hope for the best. By the way, the next ‘must have’ is going to be messaging, given the industry evangelism now being devoted to it. So be prepared to be told why this now finally kills off voice, is tons better than email, reduces chat to a ‘has been’ event and laughs in the face of plain old text based SMS. Yes, the snake oil is already out and about for the next greatest hero channel. 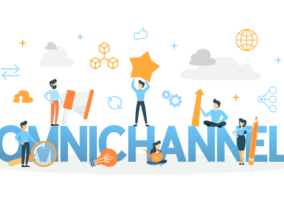 Instead of charging ahead, most of the industry could benefit with some reflection on what omnichannel actually involves. Have we really cracked this challenge? Or are we in denial about the real state of affairs as the title of this post suggests? 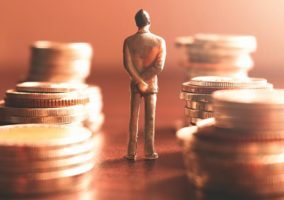 For my money, Eptica’s annual mystery shopping exercise over the last five years provides valued evidence that it remains a hard slog. One of the reasons I like it is its research methodology. The top one hundred UK brands across key sectors are assessed for their ability to respond to a series of standard service questions that are core to their sector. These are asked over web, social, email and chat, then compared and analysed for their actual performance. Being an annual survey, there is also trend data that, for instance, shows channel competence over time within a sector. I use it all the time as one of my benchmarks of where the industry is really at as opposed to the type of research that simply asks what customers expect and what brands intend to provide which easily lull us into a false sense of progress. 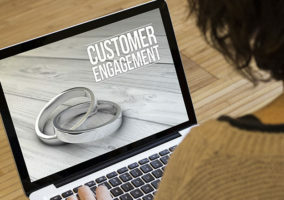 Eptica’s five-year view shows progress but not the type that yet warrants an omnichannel proficiency sticker on the front door of most contact centres. For instance, this year’s overall performance reflects a drop in overall effectiveness. 56% of customers did not receive accurate answers. 43% did not receive an answer at all! Of course that might have been just what the mystery shopping uncovered on the particular day they engaged. Maybe the average performance over the rest of the month was much stronger. But this is what I like about the Eptica approach. It expects consistency each and every time, just as customers would. Against these criteria, there is a chasm to cross as far as consistency is concerned. For example, one utility answered on Twitter and Facebook in 2 minutes, yet took over 3 days to respond to the same question on email. What is happening within the management of that contact centre for such inconsistency to happen and most probably not even be noticed? The 2016 version of the research did a deep dive on this and discovered that just 23% of those 100 brands provided consistent answers over two channels. This dropped to 8% over three channels and bottomed out at zero consistency over four channels. This was not a one-off situation. The 2017 retail study found that 58% of retailers provided different answers to the same question across multiple channels. And this is in an industry facing tremendous disruption and so aspires to the highest level of customer experience in response. Again, we should be asking why this happens in the customer service industry. It is not that the reasons for this require much expertise to uncover. Service knowledge is run in the same way that channels are run – in teams that are siloed from one another; without governance or a guiding vision that aligns behaviour and integrates data and associated infrastructure. Of course, this is no surprise to an industry that still has to fight for every investment decision and make do with a capability years behind current customer expectations. Nonetheless it is worth pointing out the irony of this situation. Inconsistency of service knowledge and responsiveness is allowed to exist even though many organisations are willing to fret about branding inconsistencies and spend considerable resources to re-harmonise the look and feel of the brand. It seems we are yet to recognise service encounters as one of those moments of truth for brands. Here is more evidence of operational flaws. Although 15 brands claimed to offer all of the four channels being evaluated (email, Twitter, Facebook and chat), only four responded on all of them. Why is this? What is happening at the resourcing level? It shouldn’t be a problem yet. Team sizes for chat and social remain proportionally small relative to the still dominant voice channel, which various 2017 research reports (e.g. ImiMobile and Contact Babel) still peg at around 70% of all inbound enquiries. When the much discussed changes in consumer behaviour finally kick in, that we are finally migrating en masse away from live voice, we will need a much more proficient approach to omnichannel resourcing. Right now both social and chat teams appear to suffer panic attacks whenever demand for live assistance goes up. For instance, in the 2017 survey, although 49% of brands advertised chat, just 22% had it working when tested. I know personally from a number of recent site visits that chat resources are put ‘back on the phones’ when demand gets busy. Why are we robbing Peter to pay Paul? I could go on, but the point is made that omnichannel needs much more leadership attention. It is not going away. Choice is the order of the day. New channels constantly appear. Brands will not have to leap at every one, but it is hard to imagine a customer service future that is not multi-modal, in which case the service ecosystem needs to enable consistent conversations however and wherever they occur. This is what needs much more thought and iterative improvement. It therefore remains very useful that Eptica continues to benchmark that experience for the rest of us on a regular basis. And by the way as a parting comment, buying omnichannel infrastructure is not the same as having a strategy! A surprised insight I still receive from some masterclass delegates at the end of the day. Don't Do ANYTHING Until You Have Done These 10 Things!